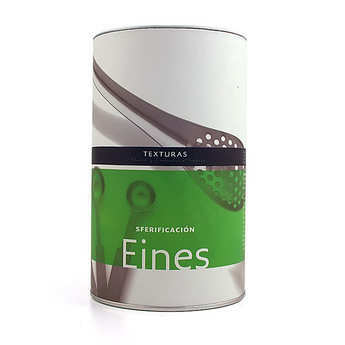 Texturas is a line of products selected by elBullitaller, designed to allow you to create breathtaking edible effects. 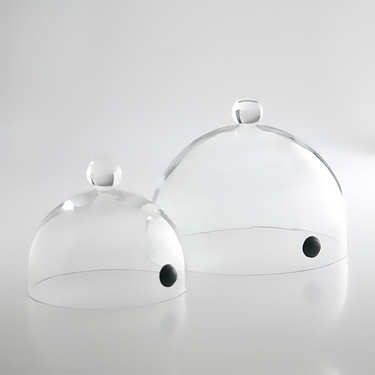 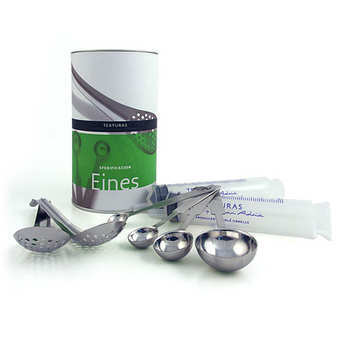 In the Eines pack, you will find all essential tools for the spherification process: the syringes allow you to measure drops in order to obtain a spherical caviar, dosing spoons of different sizes are used to obtain spherical raviolis, and collecting spoons are used to drain the preparation after the calcic bath. 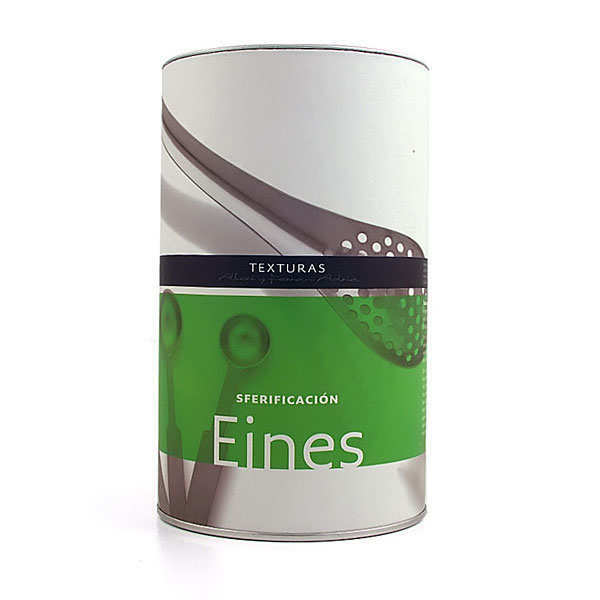 A booklet goes with this product, and explains clearly and precisely the characteristics of each product of the line Texturas gives advice, instructions and recipes, and presents the concept created by Albert and Ferran Adria and the El Bulli adventure. 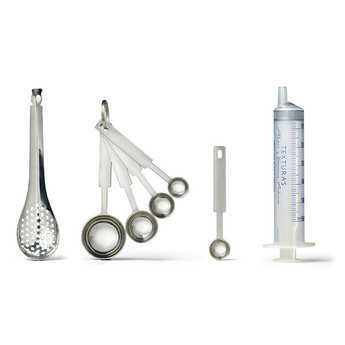 2 plastic 50 ml syringes, 1 set of 4 stainless steel dosing spoons (1,25 ; 2,5 ; 5 et 15 ml), 2 collecting spoons.